Neck pain can be caused by muscles, joints or nerves in the neck. A few of the most common reasons are explained in the Silver members area. It is important to find out the cause of your pain. At attend2health we are able to diagnose where your pain is coming from and create a tailored treatment plan to relieve your suffering. If you do decide to book to see one of our Chiropractors, Osteopaths or Physiotherapists we would go through a case history to try and find out whats causing your pain. We would ask questions like how long you have had the pain, any aggravating factors, does the pain travel anywhere or just stay in the same place, does it stop you sleeping? These will all help us in determining whats wrong. 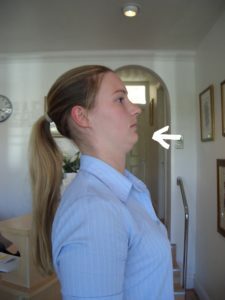 We would then do an examination where we would check the movement in your neck. We would feel the spine for any joints that might be locked and check the muscles for any tightness. We would also check your reflexes and sometimes your blood pressure to make sure the problem was coming from the muscles and joints in your neck. Cervical Facet Irritation The joints in your neck have locked and become inflamed making it hard to turn your head and giving you pain in your neck. Cervical Disc Prolapse Although rare it is possible for a disc to protrude in your neck and press against a nerve. If a disc is involved you will usually experience pain going down one of your arms with possible tingling and numbness. Whiplash Associated Disorders Whiplash injuries are as a result of a sudden strain to the muscles, bones and nerves in the neck. It may occur after a car accident, skiing accident, riding a roller coaster or bungee jumping. Symptoms can appear directly after the incident or a few days later. The Québec Task Force has divided whiplash-associated disorders into five grades depending on the symptoms. Grade 0 - No Pain, stiffness noted. Grade 1 - Neck pain, stiffness or tenderness only but no physical signs are noted on examination. Grade 2 - Neck pain, stiffness or tenderness and on examination decreased range of motion and point tenderness in the neck. Grade 3 - Neck pain, stiffness or tenderness plus neurological signs such as decreased deep tendon reflexes, weakness and sensory deficits. Grade 4 - Neck Pain, stiffness or tenderness and fracture or dislocation, or injury to the spinal cord. See Cervical facet irritation which may be present in Grade 2, Cervical disc prolapse which may be present in Grade 3. Arthritis in the neck For more details on diagnoses please upgrade your membership. Here's an exercise which is great especially if you spend a lot of time looking at a computer or phone. Try to keep looking straight ahead as you tuck your chin in. Hold for 5 seconds and repeat 3 times. Try and do this exercise a few times a day. If however any of the exercises are painful to do please stop and contact us for a free chat where we can see if we can help you further.